Have you been wanting to try your hand at Tapestry Crochet? 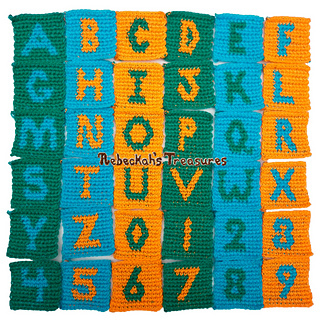 Why not give it a go with these fun and colourful ABC squares that you can later turn into baby blocks! Each of these squares include both tapestry graphs and written word charts. 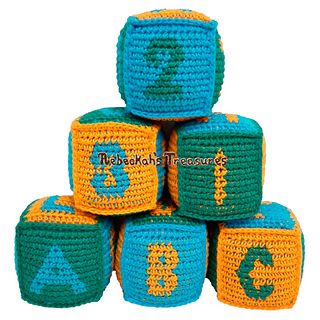 Additionally, I have made a video tutorial that will show you how to crochet these squares. 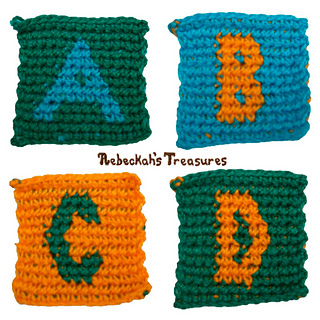 So if you’re new to tapestry crochet, you’ll be able to make these squares with great ease. Feel free to use any yarn weight you prefer! 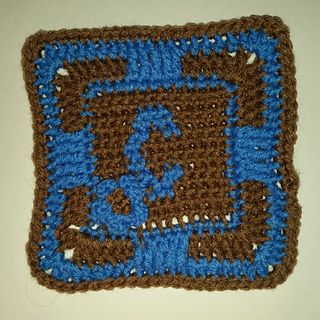 Just be sure to use a hook that will make a perfect square when you carry one yarn under the stitches. You don’t have to turn these squares into blocks later. 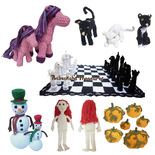 You may like to make a fun doll quilt with them instead, or perhaps you want to combine the letters to spell out names, phases or words in your very own creative tapestry crochet project. Note: All these parts will be available for free on the blog, but the PDF Version – $4.00, includes ALL 10 Parts and can purchased up in the right where it says “e-book”. Special Release Price of $1.50 for a limited time only!